V2 Fitness gym is owned and operated by a team of diverse professionals that love bringing fitness to everyone. We enjoy helping people change their lives and are constantly updating the services of the gym to better provide for all our members. It takes a special person to be an V2 Fitness personal trainer. Commitment to your goal is the number-one-characteristic we look for. Every Personal Trainer undergo rigorous instruction to help you get the most out of the program. You will find only the most passionate, friendly, and experienced Personal Trainers. We believe people motivate people, not machines and in building our new brand from the inside out. Thatâ? ?s why we are training staff in new techniques to understand member motivation, build rapport and create deeper connections to ensure gym-goers feel supported and motivated when they train. We are making V2 Fitness a great place to work-out and a great place to work. 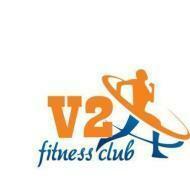 V2 Fitness conducts classes in Gym and Personal Trainer. It is located in Choolaimedu, Chennai. It takes Regular Classes- at the Institute.